Hayashi’s competition history is one of the most extensive in the history of magic and he is well-known in the magic industry across Europe. 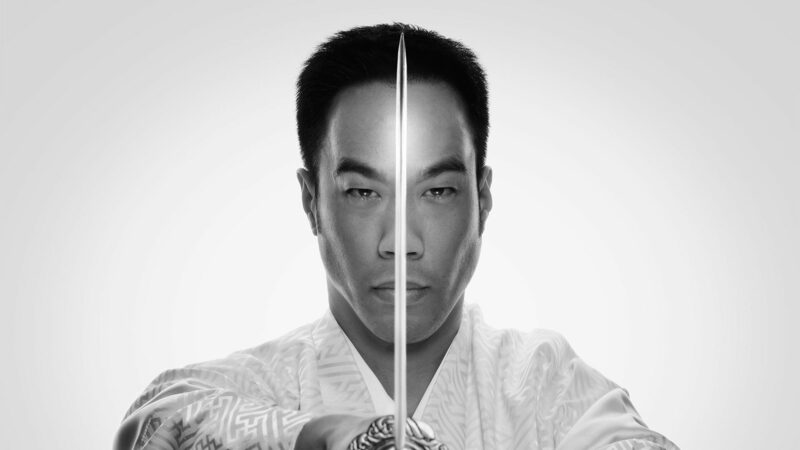 He works as a lecturer at the University of Mannheim in Germany and travels the world performing as a mentalist, magician and samurai sword expert. He does corporate and private shows, lectures, and gala show performances in all of the world’s major languages. Hayashi has been into the Art of Magic since 1981 when at the age of eight he got a magic set for Christmas, and he has never stopped practising since. He read every book on magic he could get his hands on throughout his childhood and teenage years, and by the time he started studying Languages and Linguistics at Carleton University in Ottawa, he always had a deck of cards in his pocket and showing card tricks at parties was his main outlet of expression. He left Canada in 1998 and moved to Tokyo, Japan, to teach English and to study karate at the Japan Karate Association World Headquarters. He performed magic every day at work, starting off almost every English lesson with a magic trick. The end result was that he performed six to eight times a day, five days a week, for two years in front of a constant rotation of strangers who could not understand much English. In this way he managed to fit a lifetime of practice into a highly concentrated span of time. In 2000, Hayashi moved from Tokyo to Mannheim, Germany. He entered his first magic competition in 2001, which was the Preliminary Eliminations to qualify for entry into the German National Championships. This was also his first magic convention and his first exposure to the European style of magic. His second competition was a year later in 2002, the German Nationals. He placed 4th and therefore did not qualify for participation at the 2003 FISM World Championships. Instead of giving up, he attacked the rest of Europe before coming back for a second attempt at the German Nationals three years later in 2005. Germany has the world’s toughest competition system in the magic industry and only holds its national competition every three years. In the three years from 2003 to 2005, Hayashi competed in 16 major competitions, in five different languages, in various countries around the world. He was the SAM European Champion of Magic in the category Close-Up in 2005 and also won 1st place in card magic at the 2005 German National Championships. This is how he qualified for entry into his 19th competition, the 2006 FISM World Championships in Stockholm, Sweden. This was his first attempt to rank in the top 3 at the FISM World Championships. He ranked in the world’s top 10 close-up magic acts at the 2006, 2012 and 2018 FISM World Championships of Magic.